Experimental and Applied Acarology 77, 1-10. 35) Yamakawa, S., K. Ohyama, W. Yamori and T. Suzuki (2018) Effects of anoxia and hypoxia on the two-spotted spider mite, Tetranychus urticae (Acari: Tetranychidae). 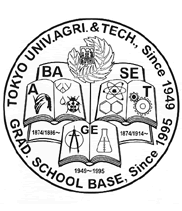 Applied Entomology and Zoology 53, 535–541. 34) Bensoussan, N., V. Zhurov, S. Yamakawa, C.H. O'Neil, T. Suzuki, M. Grbic and V. Grbic (2018) The digestive system of the two-spotted spider mite, Tetranychus urticae Koch, in the context of the mite-plant interaction. Frontiers in Plant Science 9, 1206. 33) Yoshioka, Y., T. Gotoh and T. Suzuki (2018) UV-B susceptibility and photoreactivation in embryonic development of the two-spotted spider mite, Tetranychus urticae. Experimental and Applied Acarology 75, 155-166. 32) Ghazy, N.A., T. Suzuki and H. Amano (2018) Development and reproduction of Neoseiulus californicus (Acari: Phytoseiidae) and Tetranychus urticae (Acari: Tetranychidae) under simulated natural temperature. Environmental Entomology 47, 1005-1012. 31) Nishide, Y., T. Suzuki and S. Tanaka (2017) Synchrony in the hatching of eggs in the desert locust Schistocerca gregaria (Orthoptera: Acrididae): egg condition influences hatching time in the laboratory and under simulated field temperatures. Applied Entomology and Zoology 52, 599–604. 30) Wang, C.H., A. Hosomi, T. Suzuki, M.S. Ullah and T. Gotoh (2017) Different responses to hypobaria between spider mites and a predatory mite. International Journal of Acarology 43, 534-539. 29) Suzuki, T.*, M.A. Nunes*, M.U. España*, H.H. Namin, P. Jin, N. Bensoussan, V. Zhurov, T. Rahman, R. De Clercq, P. Hilson, V. Grbic and M. Grbic (2017) RNAi-based reverse genetics in the chelicerate model Tetranychus urticae: A comparative analysis of five methods for gene silencing. PLoS ONE 12, e0180654. 28) Suzuki, T.*, M.U. España*, M.A. Nunes, V. Zhurov, W. Dermauw, M. Osakabe, T. Van Leeuwen, M. Grbic and V. Grbic (2017) Protocols for the delivery of small molecules to the two-spotted spider mite, Tetranychus urticae. PLoS ONE 12, e0180658. 27) Nishide, Y., T. Suzuki and S. Tanaka (2017) The hatching time of Locusta migratoria under outdoor conditions: role of temperature and adaptive significance. Physiological Entomology 42, 146-155. 26) Koveos, D.S., T. Suzuki, A. Terzidou, A. Kokkari, G. Floros, P. Damos and N.A. Kouloussis (2017) Egg hatching response to a range of ultraviolet-B (UV-B) radiation doses for four predatory mites and the herbivorous spider mite Tetranychus urticae. Experimental and Applied Acarology 71, 35‐46. 25) Amini, M.Y., M.S. Ullah, A. Kitagawa, R. Kanazawa, Y. Takano, T. Suzuki and T. Gotoh (2016) Scotophase interruption with LEDs and OLEDs to inhibit photoperiodic induction of diapause in Tetranychus urticae and T. kanzawai (Acari: Tetranychidae). Systematic and Applied Acarology 21, 1436-1446. 24) Wang, C.H., T. Suzuki, K. Ohyama and T. Gotoh (2016) Anoxia treatment for selectively controlling spider mites Tetranychus urticae and Panonychus citri with little impact on the predatory mite Neoseiulus californicus. International Journal of Acarology 42, 206-211. 23) Hiragaki, S., T. Suzuki, A.A.M. Mohamed and M. Takeda (2015) Structures and functions of insect arylalkylamine N-acetyltransferase (iaaNAT); a key enzyme for physiological and behavioral switch in arthropods. Frontiers in Physiology 6, 113. 22) Suzuki, T., C.H. Wang, T. Gotoh, H. Amano and K. Ohyama (2015) Deoxidant-induced anoxia as a physical measure for controlling spider mites (Acari: Tetranychidae). Experimental and Applied Acarology 65, 293-305. 21) Mohamed, A.A.M., Q. Wang, J. Bembenek, N. Ichihara, S. Hiragaki, T. Suzuki and M. Takeda (2014) N-acetyltransferase (nat) is a critical conjunct of photoperiodism between the circadian system and endocrine axis in Antheraea pernyi. PLoS ONE 9, e92680. 20) Suzuki, T., Y. Yoshioka, O. Tsarsitalidou, V. Ntalia, S. Ohno, K. Ohyama, Y. Kitashima, T. Gotoh, M. Takeda and D.S. Koveos (2014) An LED-based UV-B irradiation system for tiny organisms: System description and demonstration experiment to determine the hatchability of eggs from four Tetranychus spider mite species from Okinawa. Journal of Insect Physiology 62, 1-10. 18) Ghazy, N.A. and T. Suzuki (2014) Desiccation tolerance in diapausing spider mites Tetranychus urticae and T. kanzawai (Acari: Tetranychidae). Experimental and Applied Acarology 63, 49-55. 17) Ghazy, N.A., T. Suzuki, H. Amano and K. Ohyama (2014) Air temperature optimization for humidity-controlled cold storage of the predatory mites Neoseiulus californicus and Phytoseiulus persimilis (Acari: Phytoseiidae). Pest Management Science 70, 483-487. 16) Suzuki, T., T. Kojima, M. Takeda and M. Sakuma (2013) Photo-orientation regulates seasonal habitat selection in the two-spotted spider mite Tetranychus urticae. Journal of Experimental Biology 216, 977-983. 15) Ghazy, N.A., T. Suzuki, H. Amano and K. Ohyama (2013) Humidity-controlled cold storage of Neoseiulus californicus (Acari: Phytoseiidae): effects on male survival and reproductive ability. Journal of Applied Entomology 137, 376–382. 14) Ghazy, N.A., T. Suzuki, H. Amano and K. Ohyama (2012) Effects of air temperature and water vapor pressure deficit on storage of the predatory mite Neoseiulus californicus (Acari: Phytoseiidae). Experimental and Applied Acarology 58, 111-120. 13) Suzuki, T., N.A. Ghazy, H. Amano and K. Ohyama (2012) A high-performance humidity control system for tiny animals: demonstration of its usefulness in testing egg hatchability of the two-spotted spider mite, Tetranychus urticae. Experimental and Applied Acarology 58, 101-110. 12) Ghazy, N.A., T. Suzuki, M. Shah, H. Amano and K. Ohyama (2012) Effect of long-term cold storage of the predatory mite Neoseiulus californicus at high relative humidity on post-storage biological traits. BioControl 57, 635-641. 11) Ghazy, N.A., T. Suzuki, M. Shah, H. Amano and K. Ohyama (2012) Using high relative humidity and low air temperature as a long-term storage strategy for the predatory mite Neoseiulus californicus (Gamasida: Phytoseiidae). Biological Control 60, 241-246. 10) Suzuki, T., M. Shah, N.A. Ghazy, M. Takeda, H. Amano and K. Ohyama (2011) An improved space-saving system for testing photoperiodic responses of insects and mites: its use in diapause experiments for the two-spotted spider mite, Tetranychus urticae (Acari: Tetranychidae). Applied Entomology and Zoology 46, 449-454. 9) Shah, M., T. Suzuki, N.A. Ghazy, H. Amano and K. Ohyama (2011) Night-interrupting light inhibits diapause induction in the Kanzawa spider mite, Tetranychus kanzawai Kishida (Acari: Tetranychidae). Journal of Insect Physiology 57, 1185-1189. 8) Shah, M., T. Suzuki, N.A. Ghazy, H. Amano and K. Ohyama (2011) Effect of photoperiod on immature development and diapause induction in the Kanzawa spider mite, Tetranychus kanzawai (Acari: Tetranychidae). Experimental and Applied Acarology 55, 183-190. 7) Suzuki, T. and M. Takeda (2009) Diapause-inducing signals prolong nymphal development in the two-spotted spider mite, Tetranychus urticae. Physiological Entomology 34, 278-283. 6) Suzuki, T., M. Watanabe and M. Takeda (2009) UV tolerance in the two-spotted spider mite, Tetranychus urticae. Journal of Insect Physiology 55, 649-654. 5) Izawa, N., T. Suzuki, M. Watanabe and M. Takeda (2009) Characterization of arylalkylamine N-acetyltransferase (AANAT) activities and action spectrum for suppression in the band-legged cricket, Dianemobius nigrofasciatus (Orthoptera: Gryllidae). Comparative Biochemistry and Physiology Part B: Biochemistry and Molecular Biology 152, 346-351. 4) Suzuki, T., N. Izawa, T. Takashima, M. Watanabe and M. Takeda (2009) Action spectrum for the suppression of arylalkylamine N-acetyltransferase activity in the two-spotted spider mite Tetranychus urticae. Photochemistry and Photobiology 85, 214-219. 2) Suzuki, T., Y. Fukunaga, H. Amano, M. Takeda and E. Goto (2008) Effects of light quality and intensity on diapause induction in the two-spotted spider mite, Tetranychus urticae. Applied Entomology and Zoology 43, 213-218. 1) Suzuki, T., H. Amano, E. Goto, M. Takeda and T. Kozai (2007) Effects of extending the light phase on diapause induction in a Japanese population of the two-spotted spider mite, Tetranychus urticae. Experimental and Applied Acarology 42, 131-138. 2) Suzuki, T. (2012) Environmental engineering approaches toward sustainable management of spider mites. Insects 3, 1126-1142. 1) Suzuki, T. and M. Takeda (2009) Utilizing LED technology for arthropod pest control, pp. 367-381. In Handbook of Light Emitting and Schottky Diode Research (N.P. Chen ed. ), Nova Science Publishers, Inc., New York, 633 pp. 8) 鈴木丈詞 (2016) ハダニ類の感覚生態学：UV応答と生息場所選択の季節性. あかりノート, 日本ダニ学会誌 25, 67-68. 7) 大山克己, 鈴木丈詞, N.A. Ghazy, 天野洋 (2015) 食品の安全性を高めるための有用生物を利用した減農薬技術の開発. ひと・健康・未来 7, 38-40. 6) 鈴木丈詞 (2015) ナミハダニのUV-B応答：適応戦略と物理的防除の可能性. 植物防疫69, 368-373. 5) 鈴木丈詞 (2014) 第14回国際ダニ学会議報告. 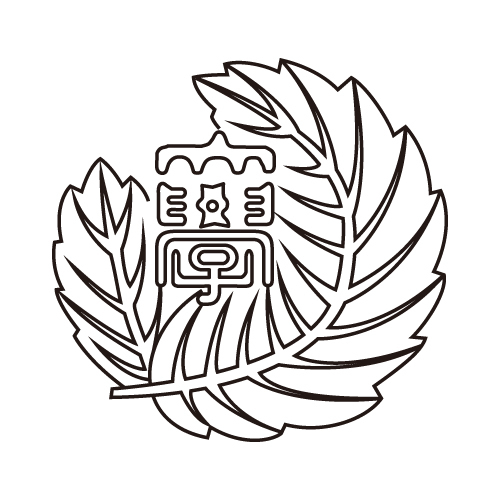 植物防疫68, 779-781. 4) 鈴木丈詞 (2013) 応用昆虫学における電子工作のススメ. 農林害虫防除研究会News Letter 31, 17-20. 3) 大山克己, 鈴木丈詞, ガジイ ノルエディン アブルハドル, 天野洋 (2012) 土着天敵ミヤコカブリダニの低温・低飽差貯蔵法. 農業および園芸 87, 900-906. 2) 鈴木丈詞 (2010) 南大西洋の海岸でダニについて考えたこと. あかりノート, 日本ダニ学会誌 19, 125-127. 1) 鈴木丈詞 (2008) 2008日韓合同ダニ学会議に参加して. あかりノート, 日本ダニ学会誌 17, 130-131. 2) 鈴木丈詞, 天野洋, 大山克己. 微小生物用環境応答調査装置及び微小生物用環境応答調査方法. 1) 大山克己, 鈴木丈詞, ガジイ ノルエディン アブルハドル, 天野洋. 生物農薬用容器及び生物農薬の保存方法.